Why Don’t We Have Real Data on Charter Schools? Charters were supposed to be laboratories for innovation. Instead, they are stunningly opaque. In several cities throughout the country, there is a fierce conflict raging over the direction of education reform. At the center of this increasingly acrimonious debate is the question of whether or not charter schools—publicly funded schools that operate outside the rules (and often the control) of traditional public-school systems—should be allowed to proliferate. Given their steady growth (from no more than a handful twenty years ago to over 6,000 today), charter schools and their advocates appear to have the upper hand. A new bipartisan bill—the Expanding Opportunity Through Quality Charter Schools Act, sponsored by Republican senators Lamar Alexander of Tennessee and Mark Kirk of Illinois, and Democratic senators Mary L. Landrieu of Louisiana and Michael Bennet of Colorado—would provide new funds to launch, replicate and expand charter schools nationwide. The concept of the charter school was originally developed in 1974 by Ray Budde, a professor at the University of Massachusetts, who envisioned it as a way to bring innovation to schools by freeing them from the regulations that frequently limit and constrain traditional public schools. The idea was later embraced by American Federation of Teachers president Albert Shanker, who felt, like Budde, that there was a need for schools that could operate with greater flexibility and could serve as a laboratory for innovations that would then be applied to public schools. In 1991, Minnesota became the first state to adopt a charter-school law. Today, forty-two states and the District of Columbia have laws providing for the operation of charter schools. The vast majority of charter schools are located in large cities, and their numbers are growing rapidly. However, instead of collaborating with public schools as envisioned by Shanker, charter schools have become the centerpiece of a market-based reform strategy that places greater emphasis on competition. The problem here is that charter schools are frequently not accountable. Indeed, they are stunningly opaque, more black boxes than transparent laboratories for education. According to a 2013 study by the Center for Research on Educational Outcomes at Stanford University, only 29 percent of charter schools outperformed public schools with similar students in math, while 31 percent performed worse. Most charter schools, in fact, obtained results that were no better than traditional public schools. So what was that 29 percent doing right? And what went so wrong with the failing 31 percent? There are a few reasons why it’s nearly impossible to find out. To begin with, unlike public schools, which are required by law to show how they use public resources, most charters lack financial transparency. Many of the most successful charter schools pay higher salaries to teachers and administrators and offer students a longer school day and year. A recent study of the highly acclaimed charter-school chain KIPP (Knowledge Is Power Program) found that “KIPP receives an estimated $6,500 more per pupil in revenues from public or private sources” compared to local school districts. The study could only document an additional $457 in spending per pupil, however, because KIPP does not disclose how it uses money received from private sources. The additional spending appears to be made possible by supplemental funding from organizations like the Walton Family Foundation (run by the founders of Walmart), which has been a major donor to charter schools across the country. According to its website, the Walton foundation supports charters because “we invest in organizations and programs that empower parents to choose among high-performing schools and insert competition into public education.” However, unlike public schools, charter schools are not required to disclose how such funds are raised and used. Transparency is especially important with for-profit charter schools to prevent fraud and the misuse of public funds. The Pennsylvania auditor general found that the state’s largest charter operator had pocketed $1.2 million in “improper lease-reimbursement payments.” In Philadelphia, where dozens of public schools have been closed due to budget shortfalls, the 2013 state budget projected spending $729 million on charter networks, despite several reports of scandals involving their operators. In New York City, Eva Moskowitz has emerged as a national spokeswoman for the charter movement; she earns over $500,000 a year—more than double what the city’s public-schools chancellor makes, even though Moskowitz is responsible for only a fraction of the number of students. When this occurs, local public schools end up enrolling a disproportionate number of “high-need” children—and, not surprisingly, their performance statistics decline. A 2006 study conducted by the Parthenon Group, a private consulting firm, found that many of the schools labeled “failing” and targeted for closure by the state’s Department of Education enrolled a disproportionate number of challenging students. If charter schools are going to serve as models of innovation, they should be required to operate on a level playing field and adopt clear guidelines concerning the rights of students and parents. There should be due-process guarantees on matters pertaining to school discipline, given that many charter schools have much higher suspension rates, as well as avenues for airing and adjudicating parental grievances. This applies to teachers, too. Many charter schools have high attrition rates, with some losing as many as 50 percent of their teachers each year. While teacher turnover rates are generally high in many urban public-school systems, the higher levels of attrition in charter schools appear to stem from the fact that the teachers are not unionized and have limited avenues for expressing concerns about working conditions. There is also evidence that high teacher attrition may be part of the financial model adopted by some charter schools, since new teachers earn substantially less than those with more years of experience. In order to ensure that teachers are treated fairly, charter authorizers and state legislatures should adopt policies that monitor teacher attrition (as they typically do with student test scores) and penalize those that appear to foster less than satisfactory working conditions for teachers. Transparency will not put an end to charter schools or eliminate the threat they pose to traditional public education. However, we could begin to address these inequities by fostering a level of public accountability that currently does not exist. Moreover, if charter schools are to serve as the engines of innovation envisioned by their earliest advocates, we must also determine whether the ones that obtain the best results do so because of truly novel and innovative approaches to teaching and learning, or simply because they have more money and fewer disadvantaged students. Finally, if it is true that some charter schools have genuinely found more effective ways to serve children, then they should be encouraged to collaborate—rather than compete—with traditional public schools. 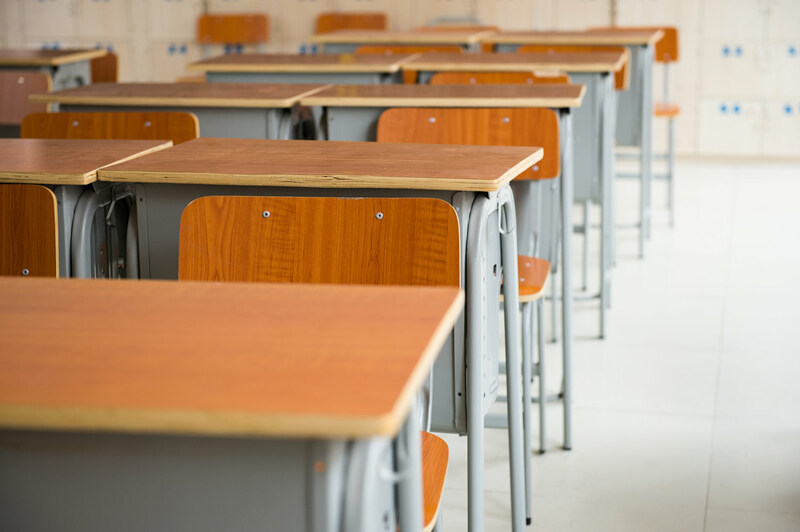 Despite the considerable momentum that charter schools have gained in terms of growth, it is important to keep in mind that around 85 percent of American children attend traditional public schools. In most parts of the country, these schools continue to be our most accessible and stable institutions—a vital part of the social safety net for poor children, whose numbers have grown dramatically since the 2008 recession. Charter schools, on the other hand, were never intended to serve all children. So if the charter-school movement is going to serve as a means of revitalizing—not undermining—public education, greater transparency and collaboration with public schools must be required.